Design basic barcode labels in minutes with our easy-to-use label designer. Use Microsoft Excel as a simple database and spend less time designing and maintaining barcode label formats. 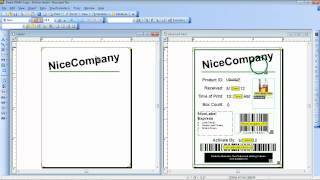 Designer Express wizards help you quickly and easily design barcode labels. 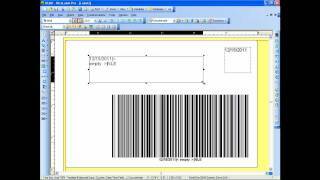 Start printing finished barcode labels in minutes! You're already familiar with MS Excel so why not use it to improve your labeling? Rather than create 10 identical barcode labels, design 1 and use 10 rows of spreadsheet data. 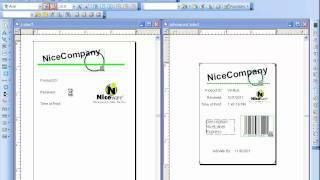 Use NiceLabel label design software and printer drivers for maximum performance and control of any laser or inkjet printer. Designer Express is ideal for simple labelling requirements and includes all common 1D, 2D and composite barcodes. See a quick overview of variable values and how to create variable fields on a label.